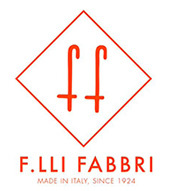 now located near Seattle in Woodinville, Washington. With their combined and unique knowledge base, Ann and Vinton Karrasch bring a fresh outlook, talented coaching and commendable results from the competitive pony ring to the highest levels in show jumping. 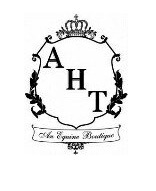 They are pleased to bring their expertise to clients in the Seattle area. Vinton didn’t begin his career as a youngster on a pony or even take a straight line through the ranks. He grew up in Reno, NV, and after two years of tagging along with his sister to the barn for her riding lessons, he finally succumbed and decided to give it a try at age 14. Training with Julie Winkel, Vinton came a long way in a short period of time. He competed in the big eq and at Young Riders in his final junior year, and won team silver at NAJYRC in Chicago on his way to college. By now fully committed to the sport, he had chosen a college close to George Morris’s Hunterdon so he could ride. Morris’s program was notably tough and demanding, especially when juggling university, but ultimately Vinton learned a lot about business organization, horse care and teaching. After a couple of years, he moved on from college and Hunterdon to focus on a full-time career in riding. In Europe, he experienced his first international competitions at the Grand Prix level. Back in the states, he became a working student for Olympian Anne Kursinski where he rode all her top horses at the time, including Starman, Cannonball and Top Seed. Vinton eventually went out on his own, set up a business in Michigan and developed his relationship with John and Beezie Madden. But after a few years of total immersion in horses, he was ready for a change in both location and career. He went to SeaWorld in California, met trainer Shawna Corrin, and together they created the reward reinforcement training system, On Target Training. The pair eventually left SeaWorld and integrated their clicker training approach to sporthorses, working again with the Maddens with much success - most notably with Iron Spring Farm’s Judgement, overcoming his one-time fear of water jumps. Amazingly, Beezie Madden and Judgement won the International Derby at Spruce Meadows, despite its five different water elements. Once again recruited by John Madden, Vinton went back to California to work for Blenheim EquiSports. Between 2001 - 2005, his experience and structured organizational skills were put to good use in a jack-of-all-trades type position for the CSI-4* horse show. Clicker training eventually led him back to the barn, and eventually back into the saddle, when he was hired full-time by Robert Ridland and EquiSports International. In 2006, together with Ann, Vinton began his long-term position with Coral Reef Ranch. During their 10 year run at Coral Reef Ranch, the pair developed, managed and executed the successful program, working with numerous top level horses. As private trainers, they worked exclusively with Genevieve Meyer, starting on a longe line and a pony and eventually taking her to national medal finals. During these years, with the support of Coral Reef Ranch and Ann, Vinton excelled at his own riding career. In addition to competing at the Grand Prix level, he spent considerable time working with mental performance coach Dr. Michael Larden and his unique perspective in sports psychology. 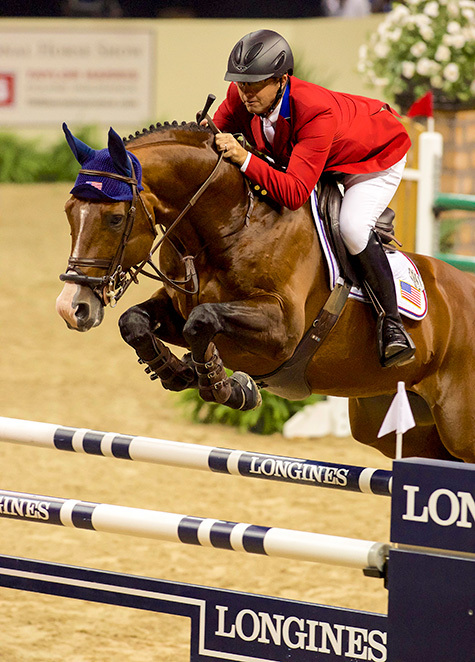 Those lessons, along with years of training, culminated in his World Cup experience at the 2015 Longines FEI World Cup™ Jumping Final in Las Vegas. Ann grew up with horses. Her family owned a farm in Salt Lake City, Utah, and her mother taught riding lessons. She was in the barn as soon as she could walk, and at age 3, though still too young to ride, her mom allowed her to lead Carl, the school horse; thrilled, she spent hours walking him around. Finally, at age 5 she started riding on a little Western pony. She wanted him to jump, but clearly she wanted it more than he did. He would drop a shoulder and she’d tumble off - over and over. As she got older, she and her brothers would bring the ponies out of the pasture, get them going, and the family would sell them. She’s grateful for a childhood that gave her the opportunity to learn how to ride every horse. By the time she was a teenager, she was ready for a change from the show ring, and though she left the farm, she couldn’t leave horses. She went to work at the racetrack, where she broke yearlings and prepared them for the 2-year-old sale at Pomona. The racetrack taught her the importance of sound legs and good feet - taking care of the horses from the hoof up, which made sense to her. She met her first husband at the track, and moved with him to California soon after her 18th birthday. Spending nearly all of her waking hours with horses, she would work with her husband at the track from 3:00am - 7:00am, then go to her ‘day job’ riding for Mike Edrick Stables. While riding hunter/jumpers for Edrick, she fell in love with the training aspect, so she left the racetrack. But she had a fall, sustaining an injury, and not wanting to be a burden to Edrick, she went back to the track while recovering. Cassandra Karazissis, with whom she had worked with at Edrick’s barn, called her about an assistant trainer job at Brandes Farm (Robert and Hillary Ridland), and Ann accepted. It was during her tenure at Brandes Farm (and Blenheim Equisports, of which Ridland was president), that she met Vinton. Also while at Brandes, she formed a friendship with Gwendolyn Meyer, who told Ann to get in touch with her if she ever needed a job. In 2006, Ann and Vinton went to Coral Reef Farm and began a successful ten-year run. At Coral Reef, there was no real program for the horses, so she and Vinton developed one, put it into place, and managed it day to day. Ann respected the kindness with which Meyer treated her horses, and appreciated the opportunity to work at the top level of the horse show world. She and Vinton were the personal trainers for Genevieve Meyer. 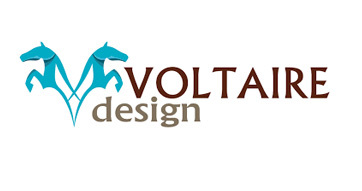 Now this equestrian pair, with their rich and varied histories, are writing a new chapter for themselves in the Pacific Northwest, as they welcome clients to Equestrian Performance. 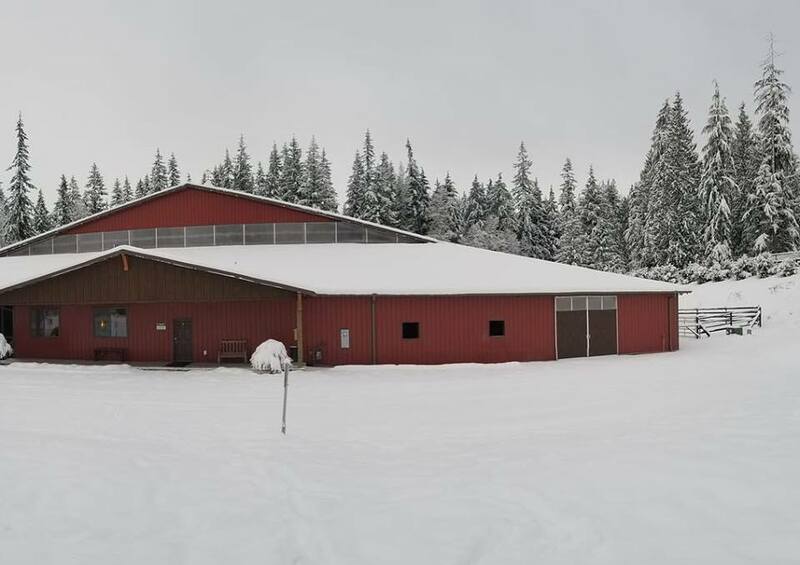 They feel that they have everything they need to provide outstanding care for the horses at their location in Carnation, WA. Ann’s goal is to work with juniors and raise the level of Zone 9 to be a real force in the horse show world. Misty Hollow is framed by the natural beauty of the Cascade foothills and is within easy reach of Seattle. 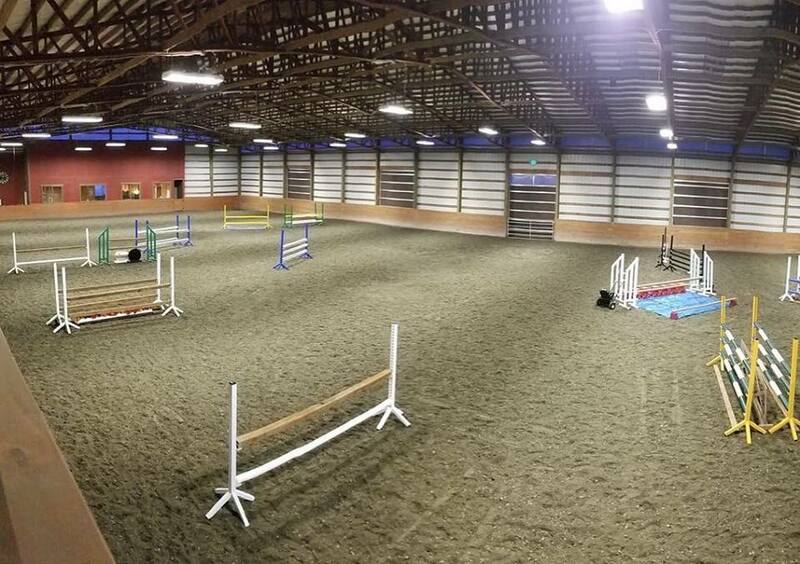 Features include: 14'x14' stalls, grass outdoor arena, 200'x100' indoor ring with sliding windows, four matted cross ties, two wash stalls, large farrier & vet bays, a heated tack room with personal tack lockers, a beautiful viewing lobby, a Eurociser and premium hay and Cavalor grain. "I am so pleased to have met Ann and Vinton after many years of frustrating training experiences here in the NW. I don’t know what I am more appreciative of……their professionalism, honesty and business skills or knowledge and competence in training..."
"I I feel extremely lucky to be able to say that I began my career in showjumping with the guidance of Ann and Vinton; I also feel that I owe much of my success to them. It’s very rare to find a barn that is successful in every ring: hunter, jumper, and equitation; however, Ann and Vinton aren’t normal trainers. 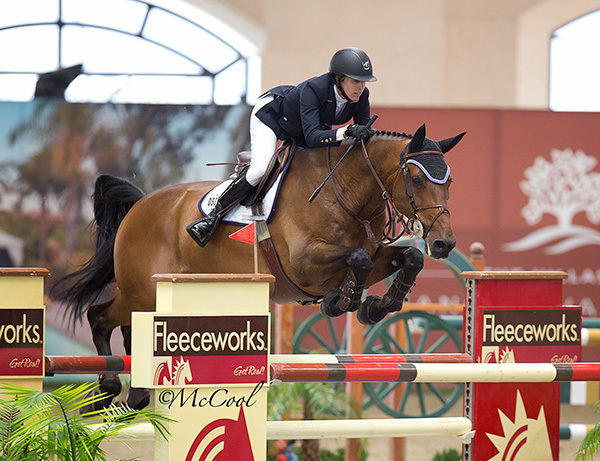 They helped me to thrive in each ring, whether it be winning the ASPCA Maclay regionals or a top 10 finish in the Grand Prix at Thunderbird..."